Starting today and running through the weekend, Starbucks is celebrating the arrival of summer by offering a special afternoon deal on iced espressos. 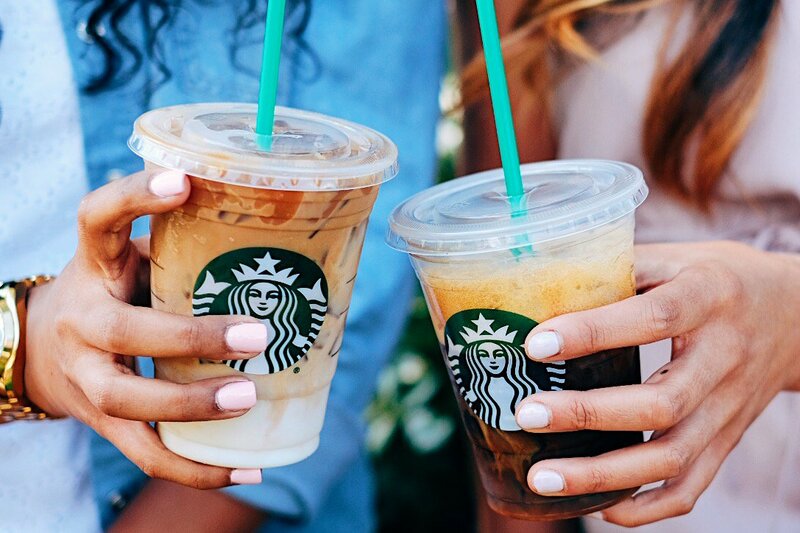 From 2 p.m. to 5 p.m. at participating Starbucks around the U.S., anyone who buys a grande iced espresso beverage can get a second iced espresso beverage for free. The offer begins Tuesday, June 27, and is valid every day through Sunday, July 2. As is the case in most buy one, get one free deals, the second (free) beverage must be of equal or lesser value to the one you actually pay for. Anyone can take advantage of the deal—no coupons or rewards program membership are required. What should you order? There are countless options, and now you have six different afternoons to try a few. Starbucks suggests the Iced Caramel Macchiato, Iced Soy Latte, Iced White Chocolate Mocha, and the Double Shot on Ice as perfect summertime pick-me-ups.